Which Hugh Grant Paddington 2 Disguises Is Most Delightful? 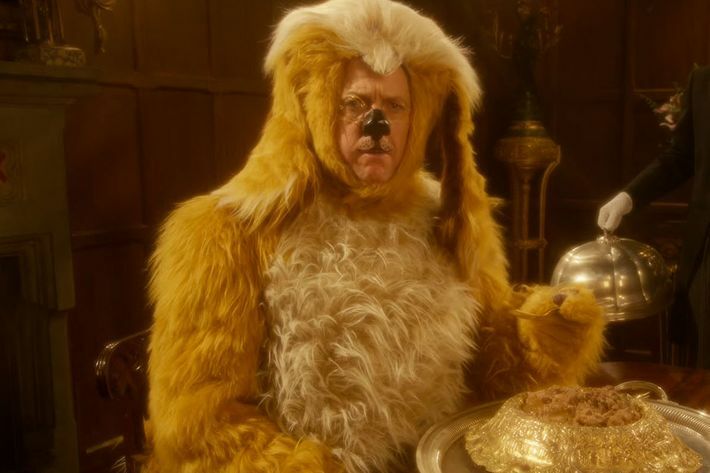 Which of Hugh Grant’s Paddington 2 Disguises Is Most Delightful? Oftentimes, actors seem to appear in kids’-only movies under great duress. But the casts of the Paddington films, all stellar British thespians, elevate the genre of earnest, goofy performance to a new level of art. Ben Whishaw, who replaced Colin Firth at the last minute before the first movie, delivers the titular bear’s lines with a kind of rounded goodness. Nicole Kidman, who played a nefarious taxidermist in the first film, deserves some sort of award for the way she pronounces the word “marmalade.” In the sequel, Paddington 2, however, Hugh Grant steals the show, with his delightfully absurd performance as Phoenix Buchanan, an actor who adopts a series of ridiculous disguises to get his way, each more absurd than the last. Paddington 2, a miraculous movie too good and kind and polite for this fallen world, follows Grant’s Buchanan as he frames our bear hero for larceny. Why? Because he wants to own a pop-up book of London that’ll lead him to a secret treasure trove that will help him fund his one-man West End show. Why, in a larger sense? Because, according to Julie Walters’s character, Mrs. Bird, “actors are some of the most despicable, devious people on the planet,” and Phoenix Buchanan might be the best example of all their worst traits. Like many actors, he loves attention, hates other people, and has an attic full of costumes that he talks to as if they are people. Sadly, we don’t get to see Phoenix don all of his disguises in the film, but thanks to some visual hints, we learn that he puts some of them on offscreen in order to carry out his many breaking and enterings at historic sites across London. 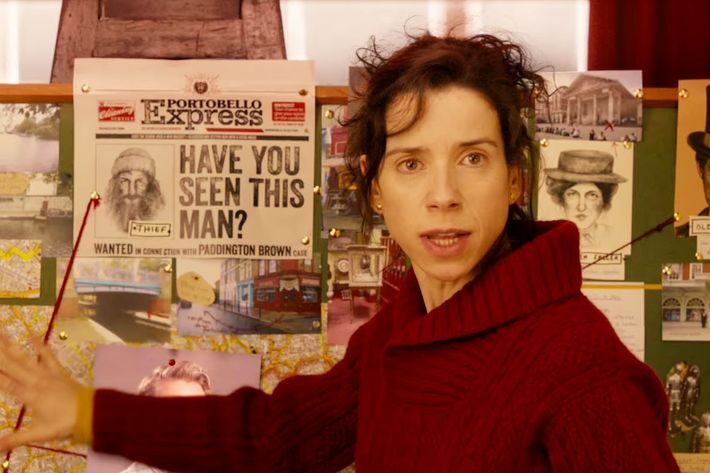 Among them: a Beefeater, and, as we can see on Sally Hawkins’s corkboard above, an Eliza Doolittle-ish woman in a hat. 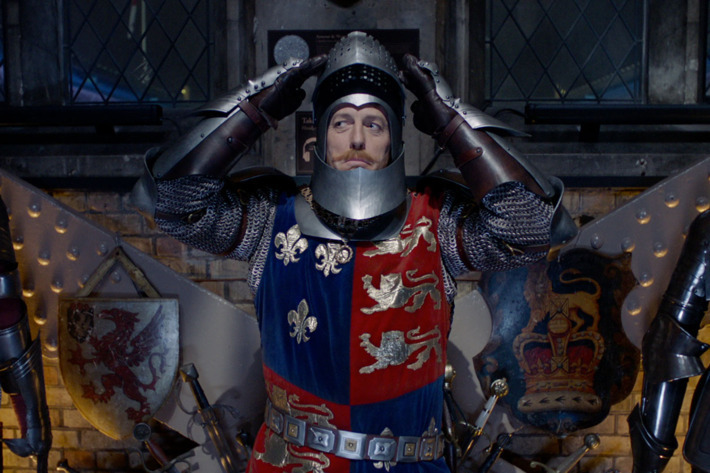 Give us deleted scenes with Hugh Grant in more silly hats! 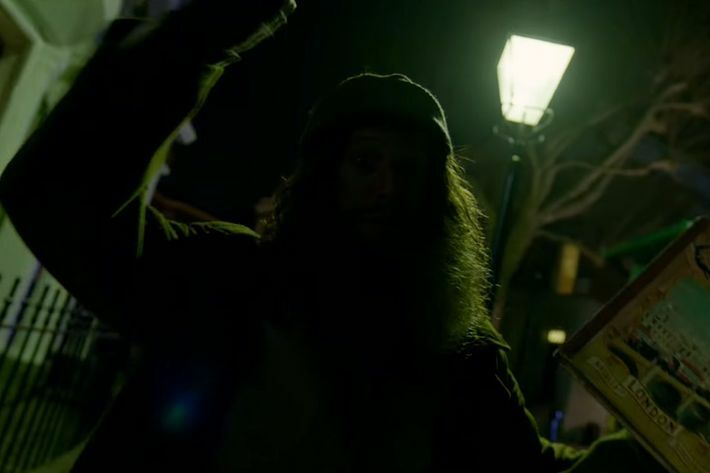 In his first crime, Phoenix breaks into a novelty shop and steals the pop-up book while dressed up as a bearded burglar with a cockney accent. It’s effective, but not much of a chance for Grant to show off any flair. Still, it’s delightful when Phoenix gives himself away later in the film by waxing poetic about the burglar’s (i.e. his own) dazzling blue eyes. I’m not sure why Phoenix feels a need to disguise himself as a bald man in order to sneak onto a train at Paddington station, nor why he decides that disguise needs voluminous sideburns. 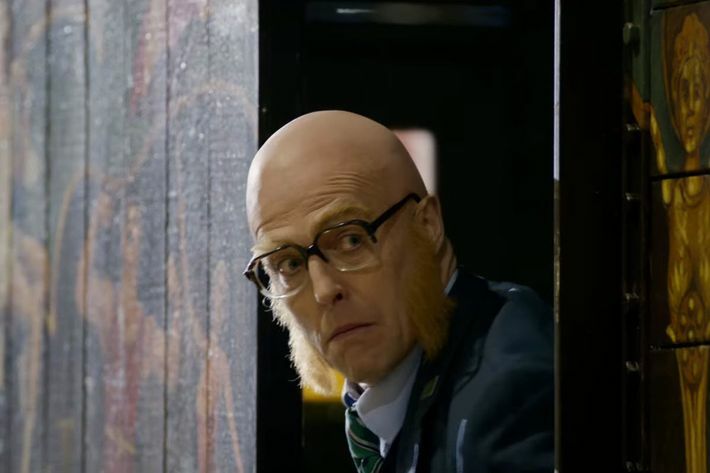 Still, he is a bald man nonetheless, until he quickly rips off the disguise when he gets involved in the film’s third act train chase (yes, there are action set pieces with moving trains in Paddington 2). To be fair, this is less a disguise and more the actual costume that Phoenix wears in dog food ads, which he has to film in order to make money. Still, we’d be remiss to leave it out. In the film’s fake dog food ad, Phoenix eats fake dog food. Hugh Grant looks as miserable to be there as he does in most other non-Paddington movies. Phoenix tromps across the tour of London in this getup, which is both physically impressive and very funny. 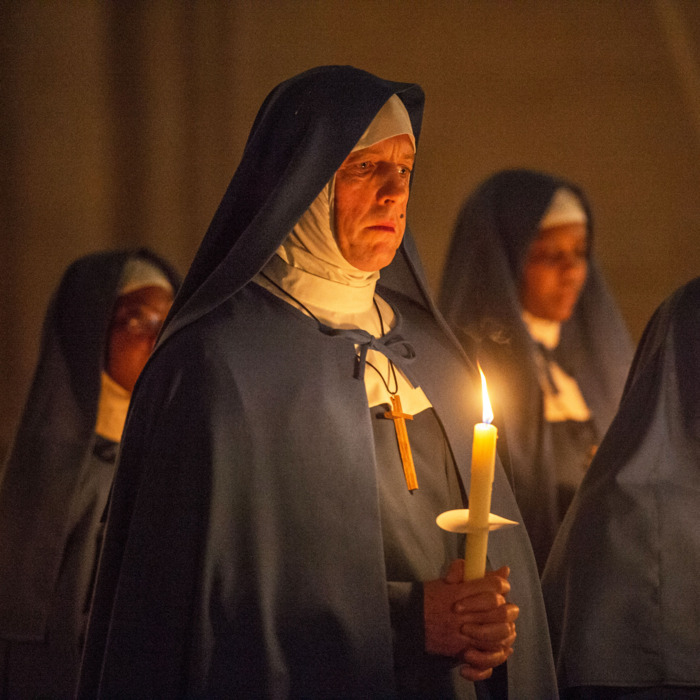 First of all, thank you Paddington 2, for this delightful image of Hugh Grant as a nun slipping out of a line of nuns while holding a candle. It feels very useful in some very specific way. 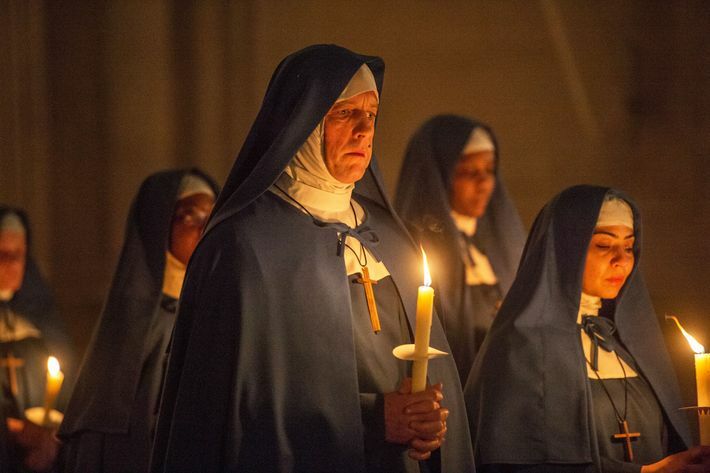 Secondly, we have to discuss the fact that this nun disguise is, as the film reveals, reversible and can be flipped inside out into a priest disguise. It’s a magnificent bit of costume work; perhaps this actor should have pursued a career in sewing rather than spending his time terrorizing nice neighborhood bears.